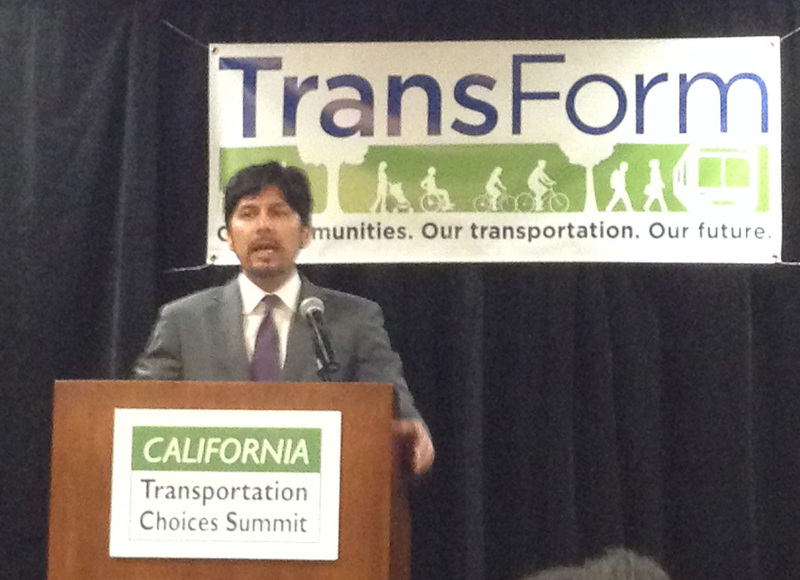 Senator Kevin DeLeon delivers keynote speech at the Transportation Choices Summit. “Vien Truong of the Greenlining Institute, who pointed out that more people die from transportation related pollution than from traffic crashes” Hmmmm. I am curious to see the data/study that supports this. They’re both huge issues. How do you sell something in California? You tell the knuckleheads it will save the world. All of this nonsense is just a payoff to the development and realtor lobbies who have bought off our corrupt one party state government. Condos are not going to save the world. Neither are buses. This is all so idiotic it defies belief. Angry much Eric? What was proposed there has nothing to do with buying anyone off and everything to do with addressing emissions and funding needed infrastructure that links people to jobs, reduces housing and transportation costs, and providing people with a transportation system that provides efficient and clean options to move around. Stop wigging, Wiggins. You don’t think Sacramento is corrupt? Do you ever read a newspaper? A lot of this so-called “smart growth” is really a payoff for the kinds of bribery that is very much a part of the way things get done in one party California. It’s all just the pay to play system at work, with the realtor and development crowd getting a chance to create a lot of crap SCAG housing that nobody would ever want to live in. Go take a trip to Rancho Cucamonga or San Bernardino sometime and see the disaster first hand. Oh, and here is another thought, Wiggins. What is the first thing any Californian would do with the money they save after moving into cheap government subsidized housing? Buy a car. Just because you plant someone next to a bus stop doesn’t mean they’re going to ride some smelly bus. People want cars. Nothing described in the above article will ever change that. You’re wrong about that actually. There is a big demand for housing near transit. This is not an opinion, this is a fact backed up by a whole lot of concrete data. You’re making analogies based on your perception rather than grounding anything you say in what’s really going on. The market is now responding for pent up demand for transit-oriented housing and development as cities adapt their community plans to allow for it. So, Eric, I am curious what you are doing about all this beyond posting on blogs. Walking the corridors of Sacramento? Finding candidates for elected office who reflect your views? 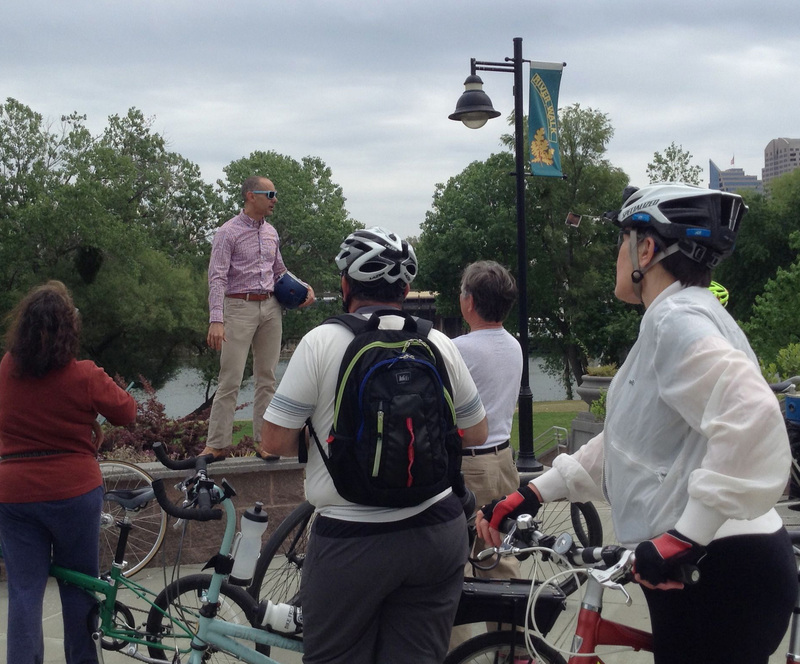 Holding meetings to organize? I think we are all eager to hear what you are doing that will address these alleged ills. Please enlighten us. Concrete data is usually kind of dense. But if you can supply some I’d be glad to look at it. None of that, actually, Gabby. How about you? Seize the property of any old people though eminent domain lately so you can build the condos that will save the planet? It must be difficult to sleep at night when paranoia makes you see an evil developer behind every rock and tree. I’m just a guy who gets around on the bus, lives in an apartment near MacArthur Park on Wilshire and shares information via activism and writing an occasional post for this blog. BTW your stance isn’t supported by the latest research and statistics. Joel Kotkin, the king of your suburban mania, is now looking more and more out of touch. Actually, Eric, if you had bothered to read the article, many of us who attended the summit did just what Gabby asked you – we walked (literally, except for those in wheelchairs – I guess they “wheeled”) the Capitol in support of the bills. Update on the first bill listed, S.B. 391, the Homes and Jobs Act, which had a recent article in the LA Times about it. The Cal State Fullerton study quantifies costs of air pollution, but I didn’t see where it compares mortality figures between crashes and air pollution caused by transportation.